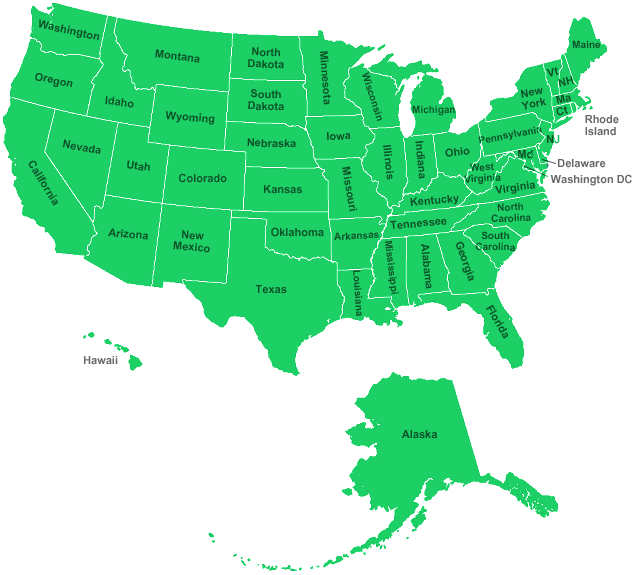 Find the correct forklift batteries for your lift by selecting your state below. Green Power Forklift Batteries is an environmentally-conscious industrial forklift battery supplier that also performs forklift battery repair. We recondition dead and used forklift batteries, which gives our customers an eco-friendly and cost-effective choice for reliable power solutions. By using a unique 18-stage renovation process coupled with more than 10 years of experience, we are able to restore lost capacity to extend the functional lifespan of industrial lead-acid batteries. This enables our customers’ batteries to operate at their optimal capacity for up to twice their normal life span, leading to reduced costs for forklift battery repair, replacement, and maintenance. On top of being a forklift battery supplier, we also buy used, surplus, and scrap forklift batteries. We then take these older forklift batteries and put them through our refurbishing process, breathing new life into what was once scrap. Learn more about how we can help you save over the long-term!